The free skins for Blue Cat's FreqAnalyst Pro have been updated for Mac compatibility and to support the new mid/side analysis capability. They add new color schemes to the plugin. Download them for free here! If you want to create your own skins for your plugin, check our color customization tutorial and our skins page. Please contact us if you need any assistance. Our audio analysis plugins are now officially available for both Mac and PC! The PC versions have been updated, including many improvements and fixes, and Mac users have now access to VST versions. Audio Units are expected next year (send us feedback on the freeware Audio Units beta to help us release them soon!). Of course winter special offers apply to these plugins, so don't miss them: download the demos now and try them on your favorite Digital Audio Workstation! The upgrade to the new versions (including Mac support) is free for existing customers. This year again we have decided to launch winter special offers to let you purchase all our audio plugins and bundles with discounts ranging from 10 to 20%. Download the demos and ask Santa to bring you your favorites plugins for Christmas! Our existing customers will receive a coupon with 25% discount on the entire catalog. The skins for Free Pack have been updated to make them compatible with the latest version (including Mac support). They are free and you can download them here. We have just updated the Audio Unit version of Blue Cat's Free Pack. Still beta, this new version fixes an issue that caused the mono plugins not to be validated by Apple's auval tool. Blue Cat's Free Pack free plugins bundle is now officially available for download for both Mac and PC! The PC versions have been updated, including now all the latest improvements of the Blue Cat Audio technology. The Mac VST versions are out of beta stage, and host applications support has been improved a lot. All 11 plugins are available for free on both Mac and PC. Audio Units for Mac are now available in beta stage. Please download them and send us feedback on our forum or by email. 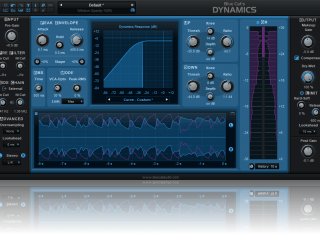 Our partner Streamworks Audio has released a video tutorial for Blue Cat's Dynamics. It covers all the basics of our dynamics processing plugin, from the user interface to MIDI side chaining. You can see the beginning of the video for free on the Streamworks audio website: Blue Cat's Dynamics video tutorial. You can use the following coupon to get 25% off on this video. Coupon code: 0655727f37cab. This is the first video of a larger series of tutorials for our plugins made by streamworks audio. Blue Cat's Oscilloscope Multi has been reviewed in the latest Computer Music Magazine issue. Our multiple tracks oscilloscope was rated 7/10. Read more about this review in the reviews section or in this month's CM issue. If you have not tried the demo yet, download it here right now! The second public beta version Blue Cat's Free Pack free plugins bundle is now available for download. The plugins are now feature complete, including the settings panels and tooltips. This new beta also includes many improvements such as better graphical rendering performance and enhanced skins for modulation effects. More hosts are also supported, with a workaround for VST 2.3 only hosts that used not to display the skin. Thank you all for your feedback that helped us improve these Mac ports every day. You can continue to send us feedback by email our on our forum (see the link below). The final version is expected in November, and Audio Units will follow. We are happy to announce that we will be releasing Mac versions of our plugins before the end of the year. The public beta program for our free VSTs started today, while the Audio Units versions are still in work. These releases will also include updates for the PC versions. We plan to release our freeware plugins first, and our commercial plugins will then follow, most of them being expected before Christmas. After many months of hard work, we are proud to release our first Mac plugins public beta: the Blue Cat's Free Pack free plugins bundle is now available for download. It's for your Mac, and it's free! All 8 plugins have been ported to the Mac platform (as VST plugins), and we need your feedback to improve them for the final release. For more information about this release and to send us your feedback, please check the forum link below. Talk to you soon on the forum! Computer Music Magazine has reviewed Blue Cat's Protector in their October issue. Our brickwall limiter was granted both the performance and value awards, and was rated 9/10, described as a "thumbs up" from CM. You can read more about this review in the reviews section or in this month's CM issue. If you have not tried the demo yet, you can download it here. The introduction price will still apply for a few days, so don't miss it! 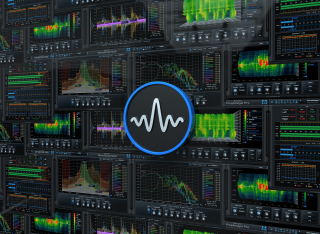 We are pleased to announce together with Computer Music Magazine the release of Blue Cat's FreqAnalyst CM Edition. This new spectrum analysis plugin is exclusively available for free in the latest issue of Computer Music Magazine (CM 130), which also includes a tutorial to get started with the plugin. 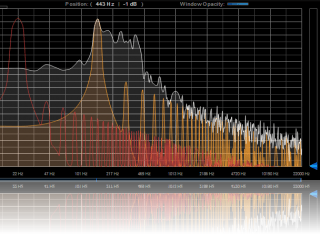 "[Blue Cat's FreqAnalyst CM] is a super-slick frequency analyser for Windows PC in VST/DX formats. It offers average, instant and peak modes, curve comparison functionality, and lots more. If you're serious about perfecting your tracks, FreqAnalyst CM will give you invaluable insight into what's really going on in your mixes." When installing the plugin you will be asked a code to enable the analysis of stereo streams. You can obtain this code by registering Blue Cat's FreqAnalyst CM. If you already own the magazine and you are looking for complementary analysis tools, check out our other audio analysis plugins! 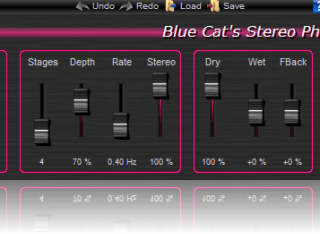 We are happy to release a new version of the Blue Cat's Stereo Phaser plugin. It now includes Undo/Redo, a new toolbar and presets import/exports capabilities. The upgrade is free for registered users (check your email! ), and if you do not already own this plugin you can purchase it for 26.10 euro only ($44.10), with 10% discount. Check it out! A new free skin for Blue Cat's Protector is available for download. Check it out! It offers a new layout close to the original design but with a "landscape" orientation. If you want to create your own skins for your plugin, check our skins page. Please contact us if you need any assistance. 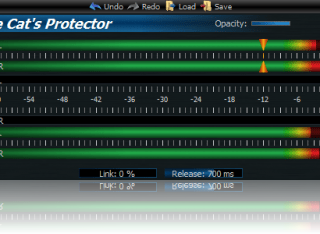 We are happy to announce the release of the Blue Cat's Protector plugin, a powerful stereo brickwall limiter. 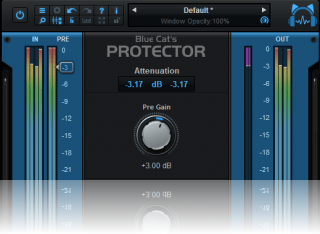 Based on our experience with the Blue Cat's Dynamics plugin, this new plugin is the perfect tool for your master bus. It also offers several ways to shape a sound with digital or analog distortion. Check out the demo and benefit from our special introduction offer (-15%)! Blue Cat's Oscilloscope Multi plugin has been updated to v1.1 with many improvements to the XY view. The 10% discount period has been extended for two more weeks. Check out the demo and do not miss our offer! Blue Cat's All Plugins Pack has been reviewed by Glen Heffner on CakewalkNet. Quotes from the review are available on our products pages or in the opinions and reviews section. The Blue Cat's StereoScope Multi and Blue Cat's FreqAnalyst Multi plugins have been updated to v1.3. These new versions bring a new view that let you compute and display the differences between several curves as well as several other improvements. Check out the new demos! The plugins are available with 10% off for a limited time and the upgrade is free for existing customers. Our effects chain monitoring tutorial has been updated to show how to use this new functionality in a simple scenario. We are glad to announce the launch of the Blue Cat Audio newsletter. Subscribe now to be informed of our latest releases, new products, updates, tutorials and special offers. We have been asked this newsletter for a while, so we hope you will appreciate this new tool! We are happy to announce the enlargement of our audio analysis tools offer with the release our the Blue Cat's Oscilloscope Multi plugin. This new plugin available in DirectX and VST formats allows you to display multiple waveforms on the same screen and compare several audio signal on its unique multiple instances phase scope. Check it out, it's available with 10% discount for a limited time. 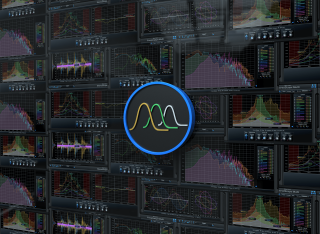 With the release our the Blue Cat's Oscilloscope Multi plugin, we are now offering all our multiple instances audio analysis plugins in a single bundle: Blue Cat's Multi Pack. 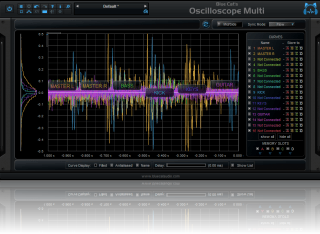 It proposes the Blue Cat's Oscilloscope Multi, FreqAnalyst Multi and StereoScope Multi plugins at an unbeatable price. Check it out right now: a 10% discount is offered for a limited time. 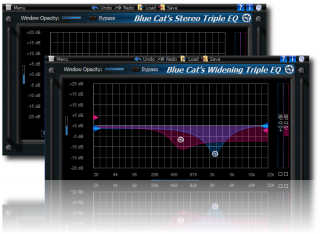 A minor update is available for Blue Cat's Triple EQ (free), Stereo Triple EQ and Widening Triple EQ. The v3.1 fixes a crash when changing a skin from the toolbar menu. The introduction discount still applies. Our audio plugins have been reviewed in the May issue of Sound On Sound magazine. You can read more in this SOS review excerpt or in this month's issue. Quotes are also available on our products pages or in the "Reviews" section. Blue Cat's Triple EQ plugins v3.0 bundle has been released. The user interface has been totally redesigned for this new version which includes many new features such as undo/redo, presets export/import etc. 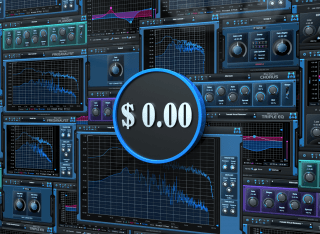 You can now get these plugins for a very attractive price, and a special launch offer is available for a limited time. The upgrade is free for existing customers. 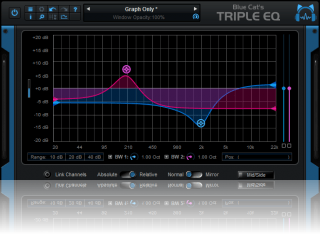 Blue Cat's Triple EQ plugin 3.0 has been released as freeware. Check out this shapeable filter and semi parametric equalizer with a brand new user interface: it can be downloaded for free! Existing customers will be granted the right to upgrade to the Parametr'EQ 3 plugin for a very special price. Check your email! With the dollar going down lately, we have decided to adjust our prices, following our fair pricing policy. The result is 10 to 20% reduction on the retail price for many products. Check out our plugins pages and the purchase section for more information. To be fair with our existing customers, an additional discount coupon for the entire catalog has been sent. Check your email! 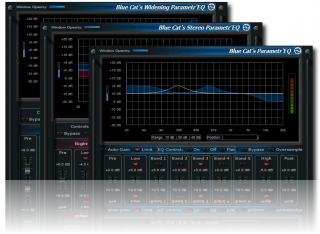 A new version of Blue Cat's Parametr'EQ plugins series is now available. It brings several enhancements and fixes to let you get the best of these orginal digital/analog parametric equalizers. The upgrade to v3.3 is free for registered users, and special offers are available for a limited time. Computer Music Magazine has reviewed Blue Cat's Remote Control in their March issue. Our virtual control surface was granted the innovation award, and was rated 8/10. Read more about this review in the reviews section. A new free skin set for Blue Cat's DP Meter Pro is available for download. Check it out! It contains four skins for both the stereo and mono versions of the plugin. 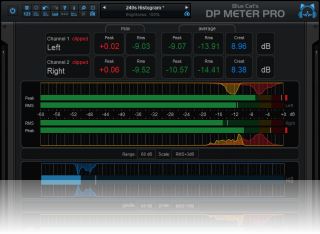 The new generation of Blue Cat's DP Meter Pro is now available, including many new features and enhancements, such as K-System scales support, many workflow improvements, mid-side capabilities... 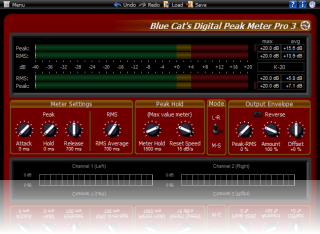 It now replaces Blue Cat's Widening Meter Pro. Don't miss our special introduction price that will be available until the end of the month: download the demo right now! An upgrade offer is also available for existing customers (check your email!). Blue Cat's FreqAnalyst Pro, FreqAnalyst Multi, StereoScope Pro and StereoScope Multi have been updated. The new versions include minor improvements and a fix for a bug that could cause a crash when opening the settings window under particular conditions. This update is free for registered customers. 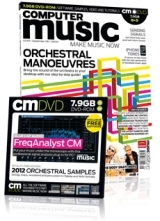 The Computer Music Magazine team has reviewed Blue Cat's Analysis Pack in the February issue. Our audio analysis plugins bundle received the innovation and performance awards, and was rated 9/10. You can read more about this review in the reviews section. A new version of Blue Cat's Remote Control virtual control surface is now available. It brings a lot of new features and improvements to enhance your workstation control experience. Download the free demo and check it out! Do not miss the limited time offer for this new version! These are the last days for our winter special offers: you can still purchase all our plugins and bundles with 20% discount until tomorrow (January 15th). Don't miss it! The Blue Cat Audio team whishes you a happy new year! Thank you all for choosing our solutions and supporting our company. 2008 starts with great news for Mac users: the port of our plugins to this platform has just been launched, and we plan to release Mac versions this year. Don't miss our Mac port thread on the forum and post your comments! Despite this huge work, we will continue to release new products and upgrades as usual. We are also happy to tell you our special winter offers are still available until January 15th. Get your favorite plugin with 20% off. Happy new year! Looking for older news? Please consult the 2007 News page.